We hope to be your information source for all things related to grass roots motorsports in Southern Ontario. We feature the Photos of Derek Smith (well over 1 Million original photos now!) . We also have over 1300 links, and you can build your own personal Favourites list. You can reach Derek at (be sure to put something in the subject line relating to your message) . Also, visit www.derekarts.com. See: LATEST ADDITIONS TO racepulse.com , Quick Links . Inside Track News - local racing news. Speed51 - short track late models. Dirt Track Digest - dirt track news. Auto Racing Daily and Racer - world news. Interest Sites Canada and Interest Sites U.S.A. .
Norris McDonald - Toronto Star. 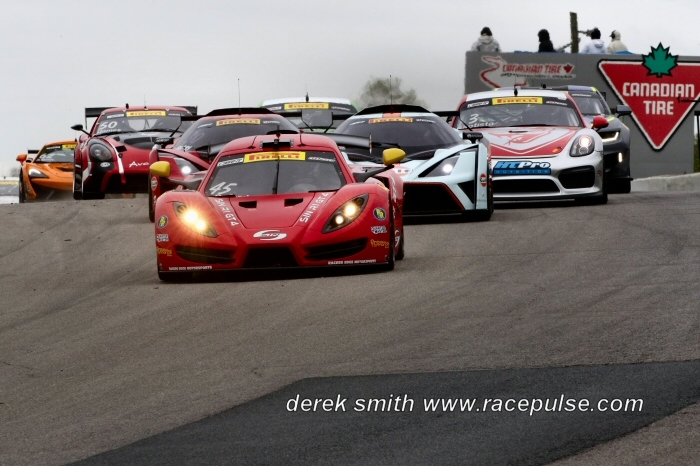 Canadian Racer -history of local tracks. Canadian Racing Online -message board. Race Time Radio -local short track news. Again this year, Mike, Peter and Derek are the official track photographers at Flamboro Speedway. Mike and Peter will each visit 5 or 6 times. and contact him at . Also check out photos from Flamboro at Zoom Pics . In 2018, derek visited Flamboro 17 times - there are over 50,000 Flamboro photos online on racepulse from 2018. In 2017, there were 21 visits and another 60,000 photos. Derek's latest photos from Flamboro can be found below, and earlier ones here. Derek will be travelling as usual to many of the tracks in Southern Ontario as well this season. For more info on the track, please visit Flamboro Speedway . The Flamboro season starts with practices on Saturday April 20 and April 27. For more details, please see Flamboro Speedway . OF DYING (IT'S 7 YEARS OLD AND HAS PROCESSED 7 ZILLION PHOTOS). IT'S BECAUSE I'M BUILDING A NEW PC. I'LL BE BACK ASAP - THANKS. I'm working whenever i can to catch up on my backlog of photos - sorry - family emergency - please check back. I'll have photos online as soon as i can. I've created a new section for Non-racing photos. People keep asking me what else i shoot. This has a few examples, such as nature photography and concerts. You can also find them under Photos in the left column on the home page. I've been away from the computer much of my time at races (eg 18 days/17 races/54000 photos, 19 days/15 races/62000 photos, 3 days/5 races/18000 photos, 17 days/12 races/46000 photos). I'll update photos whenever i can. Please check back - they will all be online. For other updates, please click on Photos to the left or scroll to the bottom. The largest collection of historic drag racing cars and memorabilia in Canada was on display at the Canadian Warplane Heritage Museum, just outside of Hamilton. I shot about 1000 photos during the day. The photos will be online as soon as i can. Please check back. This was Merrittville's first open practice, and the pits were packed with cars. For more info, please see Merrittville Speedway . I shot about 4000 photos during the afternoon and evening. The photos will be online as soon as i can. Please check back. The Spring Collector Car Auction was held at the International Centre in Mississauga. Today i shot additional photos of the cars - see Friday for more. For results and more info, please see Collector Car Productions . I shot over 650 photos during the day. The photos will be online as soon as i can. Please check back. The Spring Collector Car Auction was held at the International Centre in Mississauga. Today i shot the memorabilia and many of the cars. For results and more info, please see Collector Car Productions . I shot over 800 photos during the day. The photos will be online as soon as i can. Please check back. The annual Motorama Custom Car/Racing Expo/Motorama Mayhem was held at the International Centre Friday through Sunday. Today i shot more of the custom cars and stage events: Meet the Media discussion panel and Hot Rod discussion panel. For more info, please see Motorama . There are about 850 SUNDAY photos online now- see also Friday and Saturday. Here are 850 SUNDAY PHOTOS . The annual Motorama Custom Car/Racing Expo/Motorama Mayhem was held at the International Centre Friday through Sunday. Today i shot some of the custom cars and stage events: Celebrity Guests, Drag Racing Discussion Panel, SEMA and Star Builders, and some of the Short Track Night of Champions. Celebrity Guests for the weekend included Tom Smith, Lou Santiago, Bogi Lateiner, Grant Schwartz, TJ Zizzo and Rick Kopp . I also shot in the Motorama Mayhem back room rockabilly bands The Royal Crowns, The Greasemarks and The Rhythm Shakers. For more info, please see Motorama , The Royal Crowns , The Greasemarks and The Rhythm Shakers . There are over 1600 SATURDAY photos online - see also Friday and Sunday. Here are 1600 Saturday PHOTOS . The annual Motorama Custom Car/Racing Expo/Motorama Mayhem was held at the International Centre Friday through Sunday. Today i shot most of the racecars, some of the Motorama Mayhem hot rods, the Track Promoters Discussion Panel and the after event party featuring the rockabilly band The Hell Bent Rockers. For more info, please see Motorama and Hell Bent Rockers . There are over 1200 FRIDAY photos online. (see also Saturday and Sunday). Here are 1200+ FRIDAY PHOTOS . I attended the monthly gathering of racers from the former Stoney Creek racetrack Speedway Park. (sorry - missed last month due to ice storm). For more info, please see the Hamilton Speedway Park Alumni Facebook page. There are about 450 photos online now. Here are about 450 PHOTOS . Today i attended the opening day of this year's auto show. I photographed Auto Exotica, a selection from the Barrett-Jackson collection, Art and the Automobile, LA Car Culture, a Bugatti built with 1 million Lego bricks, some RCAC Museum of historic military vehicles, various auto manufacturer displays and Auto Show Live with Norris McDonald, John Paiva (president of Nissan Canada) and Wolfgang Hoffman (president of Jaguar Land Rover Canada). There are over 1100 photos online now. For more info, please see Auto Show and Norris McDonald . Here are 850 PHOTOS . I attended the monthly gathering of racers from the former Stoney Creek racetrack Speedway Park. People attending this month were Lorne Overholster, Larry Woods, Ken MacLennan, Dean Pronovost, Mark Shadwell, Rob Disher Sr, Rob Disher Jr, Jack Hollis, Don Nicholls, Murry Nicholls, Pete Shepherd Sr, Ron Horncastle, Al Banyard, Larry Day, Wayne Ready, Don Deagle, Bill Daniels, Jack Greenalgh, Chris Long, Derek Smith, Dave Armstrong, Doug Callowhill, Len Winters, Colin Slade, Dave Williams, Ross May, Terry Kitchen , Ken Holmes, Charlie Mitchell, Gary Rolley, John Witcher, Bob Fisher, and Gentlemen w/2 canes. For more info, please see the Hamilton Speedway Park Alumni Facebook page. There are about 600 photos online now. Here are about 600 PHOTOS .